All three of these companies are donating products to raffle off. Each ticket purchased, will be entered. Must be present to win. 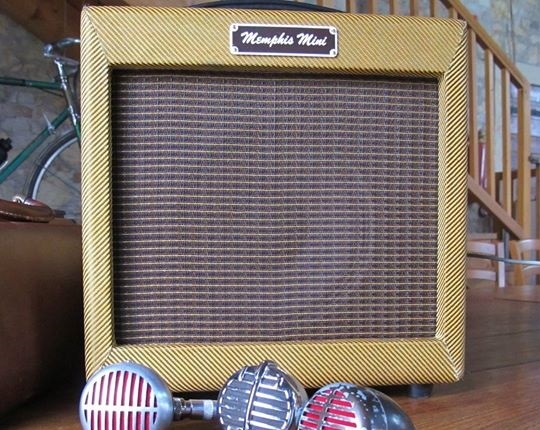 Rick Davis will be joining us at the workshop, and will have a Memphis Mini there for folks to check out. Adam and Ronnie will also be blowing through the MM on their shows. Rick Davis has graciously donated 2 Memphis Mini Delay Pedals (retail value of $99 each) to raffle off at the workshop to two lucky winners! You must be present to claim the prize if your name is drawn. Each ticket purchased will be entered for the drawing. Tom Halchak, owner of Blue Moon Harmonicas, has been making the finest harmonica combs, and cover plates in the world. They truly are a work of art! Tom will be donating some amazing products! He has offered up a double reed plate, brass combed harmonica, and a pre-war harmonica with a custom comb. The amazing Greg Heumann from Blows Me Away Productions has done it again with his newest creation the "Bulletini". Greg has graciously offered to donate a brand new Bulletini (retail value $189) to raffle off at the workshop to one lucky winner!